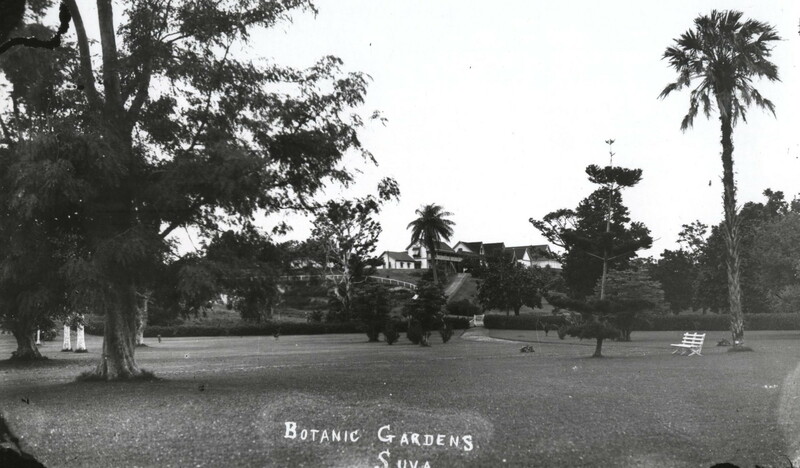 Originally located near Waimanu Road, a Botanical Garden was first established in Suva back in 1881 by the Colonial Secretary Sir John Bates Thurston, a knowledgeable amateur botanist. 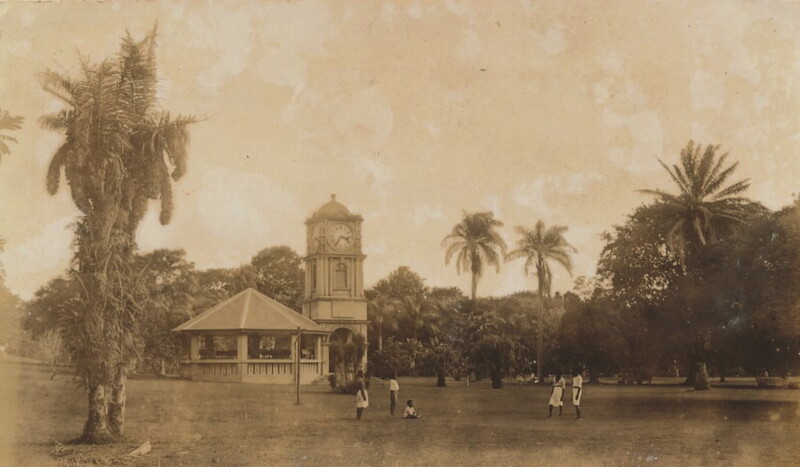 In 1913, the Botanic Gardens were moved to their current location and eventually renamed Thurston Gardens in 1976. 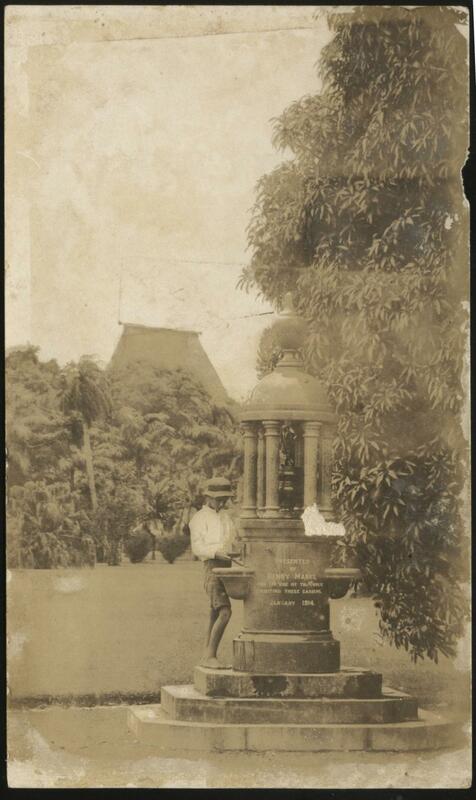 The drinking fountain was presented by Henry Marks for the use of the public visiting the gardens in 1914 and shortly after that the Marks family presented the octagonal bandstand with its classical, columned clock tower. 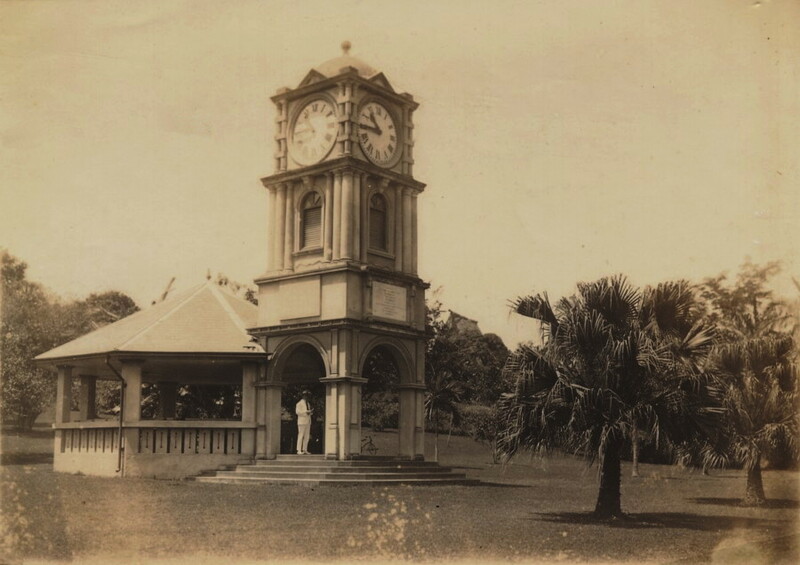 The clock tower and bandstand were officially opened in 1918, and were often used for musical concerts. In 1949, the Garden’s collection of plants consisted of twenty types of ornamental and timber trees, seventeen types of palms, various trees and shrubs, grasses, orchids and ferns. Thurston Gardens are currently going through a redevelopment phase to restore them to their former glory and make them a more usable place for the Suva public.